William Eldon Hart Trauth was born December 2, 1915 in Leonia, New Jersey. His father, John C. Trauth, was born 1887 in Ohio of German ancestry. His mother, Martha Deuel Hart, born 1881 in NJ. The parents married in 1909 and had three children, Eleanor Martha Trauth (b.1910), John C. Trauth, Jr. (b.1911), and William Eldon Hart Trauth (b. 1915). The family lived at 328 Summit Avenue in Leonia, NJ. In 1918 an unusually deadly epidemic of influenza, known as the Spanish Flu, infected five-hundred million people worldwide and resulted in nearly one-hundred million deaths. Four-year-old William E. H. Trauth also caught the Spanish Flu, and after months of recuperation survived, although his vision remained severely impaired for the rest of his life. Another side effect of the illness was a one-year delay in starting school. The father was a manager of the United States Printing & Lithograph Company of Elizabeth, NJ. The division he managed was the theatrical, moving picture, and circus posters department. The father also supervised the production of labels for many brand-name products, including Heinz Ketchup, Sun Maid Raisins, Gerber Baby Food, and Quaker Oats. Although the printing plant was in Elizabeth, NJ, the company also had a slaes office in NYC at 105 Hudson Street, in the printing district of Lower Manhattan, as well as offices in Brooklyn at 85 North Third Street. During summer vacations, William E. H. Trauth worked with his father at U.S. Printing & Lithograph, and became interested in a career as a commercial artist. According to the artist's daughter, Deborah Trauth Heidt, "My father grew up in Leonia, which was considered the Little Athens of New Jersey, because so many artists made their homes there." Artists who lived in Leonia include Robert Cameron, Elliot Dold, Lee Browne Coye and Jack A. Warren. Harvey Dunn lived in Leonia, and during the summer months he ran a legendary art school, which was attended by Arthur Mitchell, Harold Von Schmidt, and Dean Cornwell. 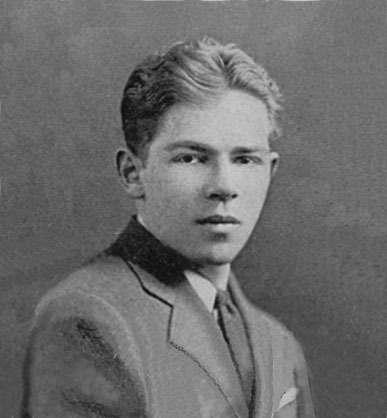 In September of 1932 at the age of sixteen, William E. H. Trauth began to attend Leonia High School. Despite the physical handicap of severely impaired vision, he enjoyed athletics, boxing, weight lifting, and football. On January 5, 1934 The New York Times reported five classmates from Leonia High School went missing from their homes, after they became tired of studying and fascinated with the idea of an adventurous exploration of the Southern States. "The police discovered from other children at the school that the boys had left separately, intending to hitch-hike to the B&O Railroad Station in Baltimore, whence they would start, in a group, for St. Petersburg, Florida. Students said the five had complained they were tired of school. The missing boys included William Trauth, 18 years old. The parents of the Trauth boy said William had telephoned last midnight, saying he was going to visit a friend in St. Petersburg. They told the police their son was able to care for himself, and they did not want him seized on the way South. Parents of the other boys, satisfied their sons were with Trauth, expressed similar attitudes." Upon his return home in Leonia, the father enrolled his son in the Greenbriar Military School in Lewisburg, West Virgina. He remained at the boarding school throughout his junior year. On June of 1935 William E. H. Trauth returned home and spent his senior year at Leonia High School, where he served on the student council and was elected Class President. 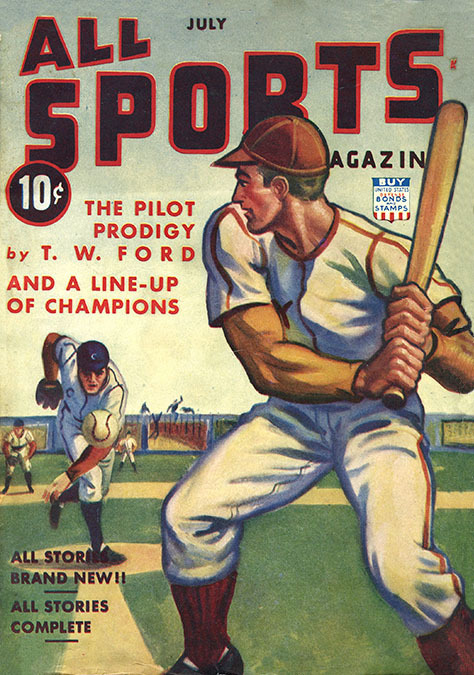 In June of 1936, at the age of twenty, William E. H. Trauth graduated from Leonia High School. His senior yearbook photo includes the statement, "A mighty man of football fame, Back he came to play the game." 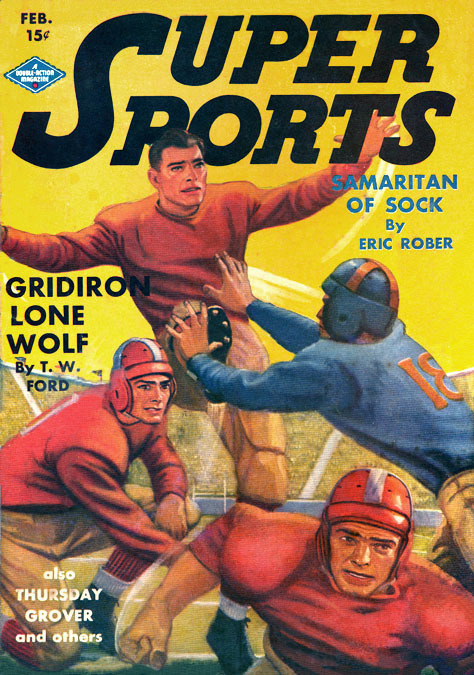 After graduation he attended Saint Lawrence University in Canton, NY, where he joined the freshman football team. After one year he left the school without graduating. According to the artist, his chronically impaired vision made it difficult to read the fine print of college text books. 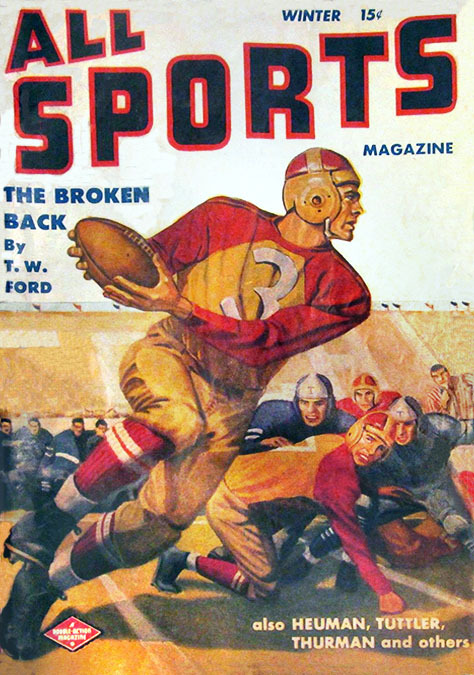 In the fall of 1938 he moved to New York City, where he coached football and taught physical education at the Kips Bay Boys Club. In his spare time he studied at the Art Students League of NY at 215 West 57th Street, where his most influential teacher was Frank Reilly (1906-1967). After graduation William E. H. Trauth married Lorna Y. Urquhart on June 27, 1940 in NYC. She was born in 1918 in the British Embassy in Bogotá, Colombia. The newlyweds lived at 500 East 80th Street on the Upper East Side of Manhattan. The couple eventually had three children, Wendy, William, Jr., and Deborah. 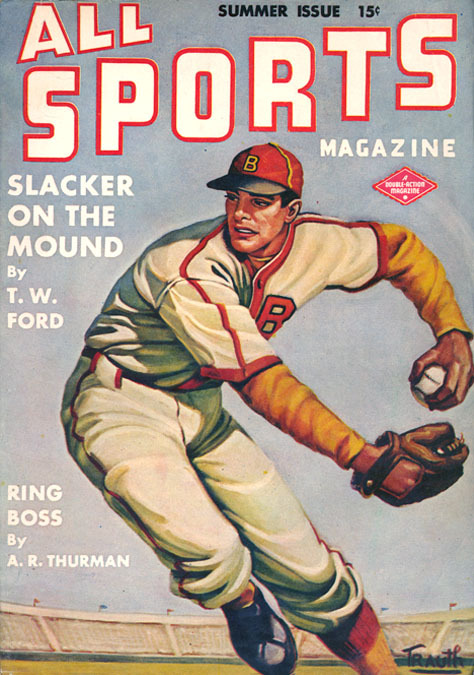 In 1941 William E. H. Trauth began to teach physical education at the Buckley School, a private school on the Upper East Side at 120 East 74th Street in NYC. During WWII William E. H. Trauth was not accepted for military service because of his poor vision, which had resulted from his childhood contraction of the Spanish Influenza. At that time the publishing industry faced a difficult challenge to replace many experienced illustrators who had been drafted. This void was filled with younger artists, such as William E. H. Trauth. 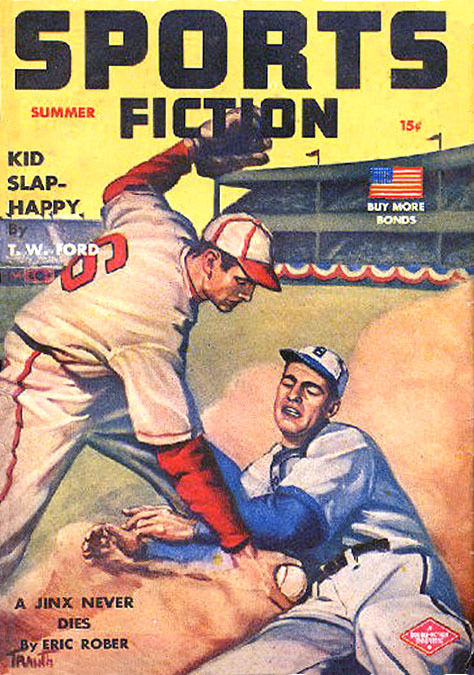 In 1943 William E. H. Trauth began to sell freelance illustrations to Double-Action Magazines, which were used as cover paintings for pulp magazines Super Sports, Sports Fiction, and All Sports. During the summer of 1947 William E. H. Trauth was the Director of Camp Nassau For Boys. In 1947 the family left NYC and moved back to Leonia, NJ, where they lived on Ames Avenue. In 1948, at the age of thirty-three, the artist had a heart attack. He recovered, but developed a chronic condition and suffered several other heart attacks over the rest of his life. On April 3, 1955 the artist's father, John C. Trauth, died at the age of sixty-seven in Leonia. After the death of his father, the artist's family left their home on Ames Avenue and moved into the old family home at 328 Summit Avenue in Leonia. 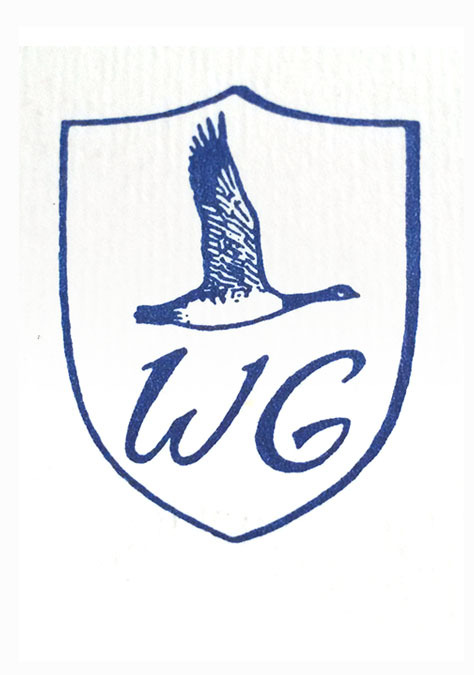 In 1956 William E. H. Trauth founded the Wild Goose Camp For Boys in Harmony, Maine. He designed the logo for the camp t-shirts and stationery. 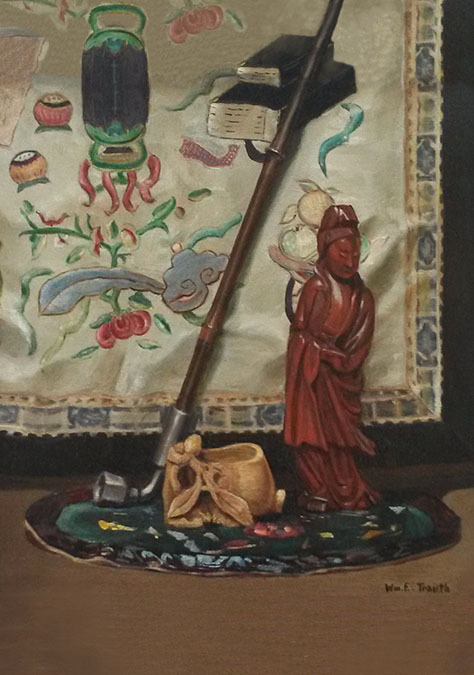 In 1961 the artist's mother, Martha Deuel Hart Trauth, died at the age of eighty in Leonia. 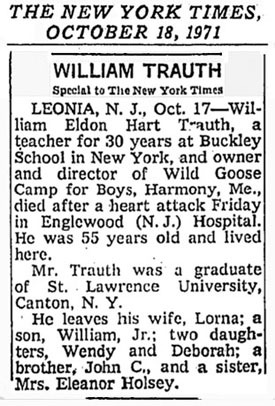 William Eldon Hart Trauth died of a heart attack at the age of fifty-five in Englewood (NJ) Hospital on October 16, 1971.